Trial consultation—Every case must be tried with an eye towards the appeal. However, the trial lawyer must deal with the rough-and-tumble aspects of the trial as it unfolds. If we are consulted at the time of trial, we can help the trial lawyer stay focused on success before the jury by taking responsibility for the legal aspects of the trial, including drafting motions, research on particular evidentiary issues, and research on jury instructions. Drafting complex motions and oppositions—The same superior research and writing skills which are required for preparation of an appellate brief are necessary for complex motions. We can provide the trial attorney with thoroughly researched and well-written motions and oppositions, such as a Motion for Summary Judgment or a Motion to Suppress Evidence. Appellate consultation to trial attorneys—We work with trial attorneys to provide a fresh look at the litigation. At an early post-judgment stage, we can analyze the risk-reward ratio with respect to an appeal, balancing the likelihood of success on appeal with the costs of pursuing the appeal. We also prepare appellate briefs as consultants for trial attorneys to file on behalf of their clients. Post-trial proceedings—Often a post-trial motion, such as a Motion for a New Trial, is a more successful and/or cost-effective post-trial strategy. Drafting briefs—The shift in emphasis in the appellate process from oral advocacy to written advocacy has elevated the importance of the written brief. "Inside of a hundred years, the written brief has largely taken the place that was once reserved for oral argument. For that reason, an ability to write clearly has become the most important prerequisite for an American appellate lawyer." William H. Rehnquist, "From Webster to Word-Processing," 1 J. App. Prac. & Process 1, at 3, 4 (1999). We provide our appellate clients with a thoroughly researched, well-organized, well-written and persuasive appellate brief. 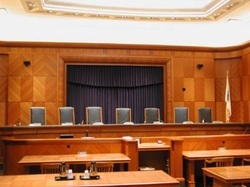 Oral Argument—The preparation for oral argument requires predicting which questions the panel of judges might ask and preparing appropriate responses. As a consultant, we assist the trial attorneys in preparing for oral argument. As the attorney of record, we prepare for oral argument with the same careful attention to detail which we provide in researching and writing the appellate brief.